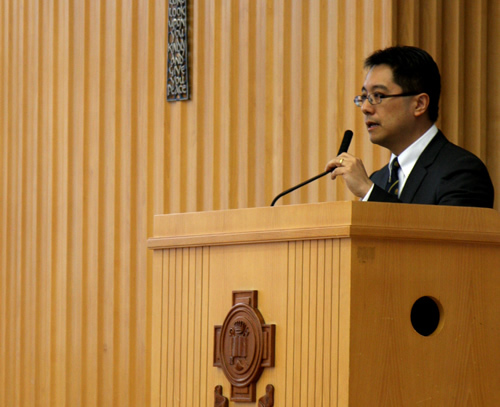 St. Paul’s College is distinctively different from other schools in Hong Kong because we are steeped in tradition. We are proud to say that the history of St. Paul’s is just as old if not older than the history of colonial Hong Kong, and the prospective students are the continuation of this tradition. It is a long tradition of commitment to education – a pledge to educate young men based on Christian principles. For more than 160 years, St. Paul’s College has served Hong Kong by honouring this commitment and we will continue to do so. Many things have changed including the location as well as the facilities of the College but the four precepts (Justice, honour, truth and virtue) remain the four core values that we want to foster in our students. The motto of the College is “The fear of the Lord is the beginning of wisdom” (Proverbs 9:10). We truly believe that the Bible has relevance to the upbringing of young men in this modern world and that the word of God is “a lamp to their feet and a light to their path”. Treating each other as equal and fostering a spirit of brotherhood have also been part of our long tradition. “Brothers here we stand together, all for each and each for all”. These lines in our College song epitomize the ethos of the school. Students and alumni of St. Paul’s College are always proud of this St. Paul’s spirit that binds them together. We ask them to look out for one another, to watch each other’s back, to support each other because we are all part of the same family of St. Paul’s. We look forward to inviting you into the College family.